I’m trying something new today. I’m a very new blogger with no followers (unless you count my husband who I kinda forced to follow me). So far I’m blogging for fun and learning as I go. 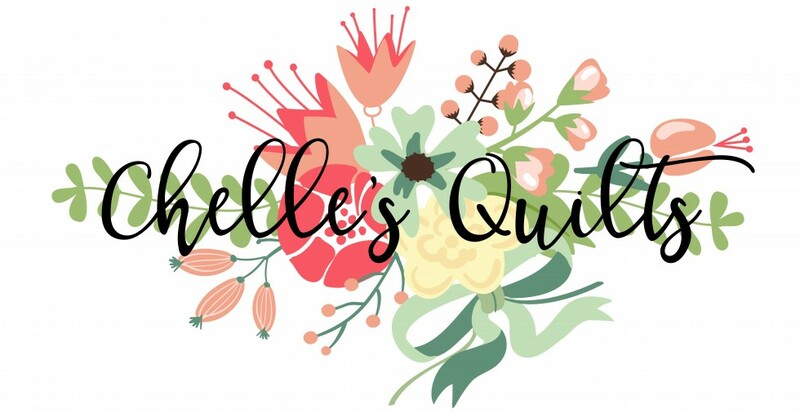 Why not meet some new bloggers, find some new blogs to follow and maybe get a follower or two? Sounds like fun. 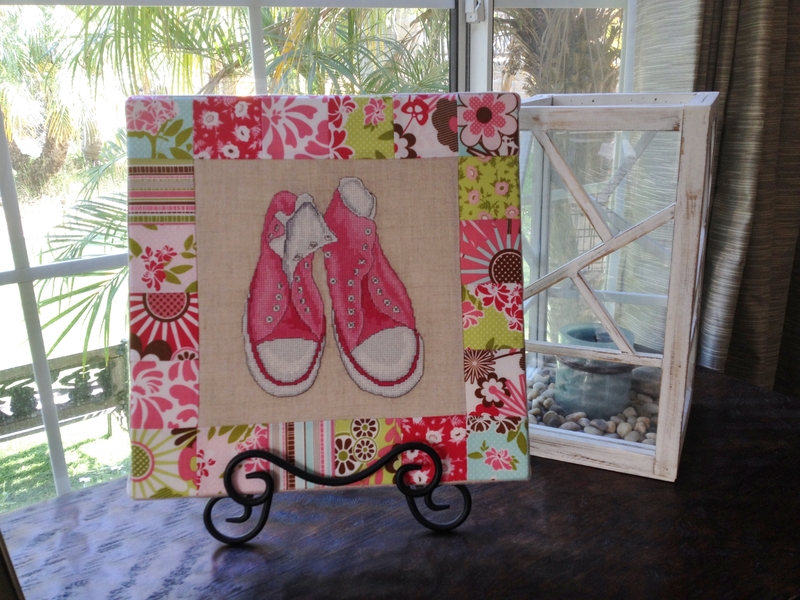 I’m linking up with Lily’s Quilts for her fresh sewing day and small blog meet. 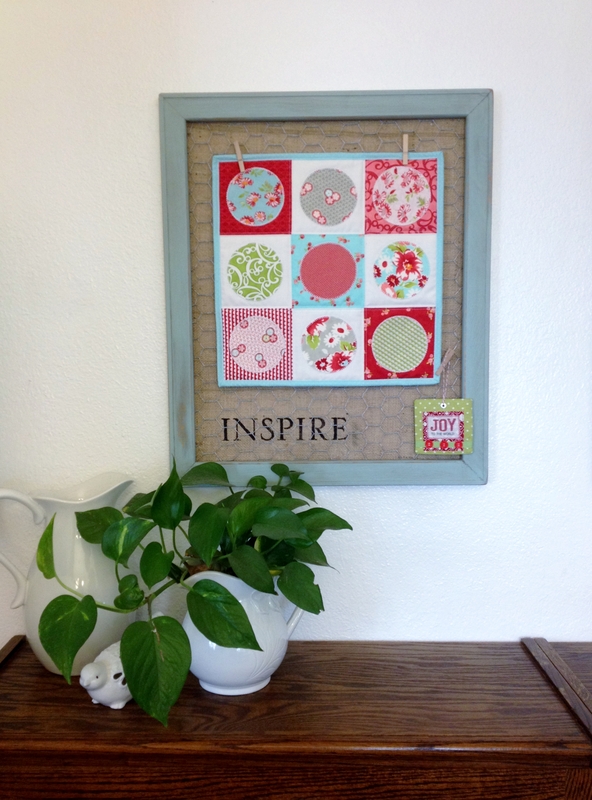 A fun little mini quilt to hang on my art board. 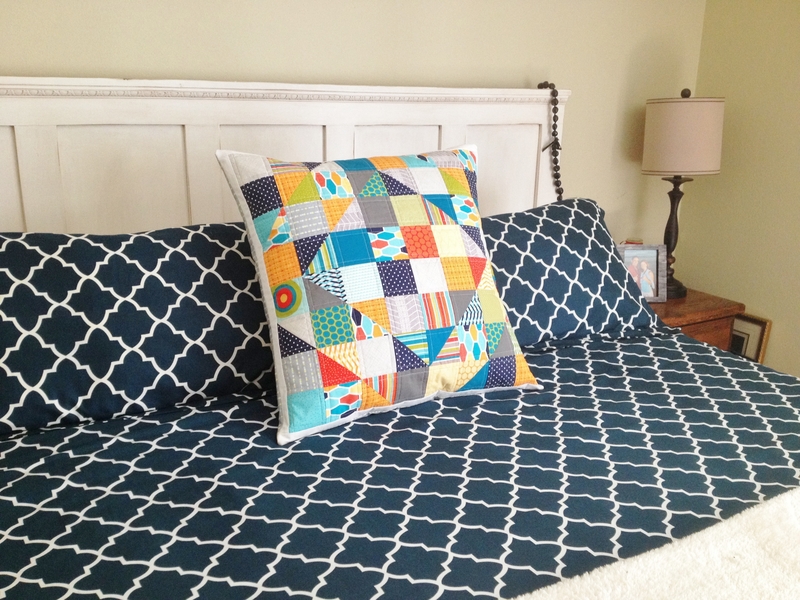 A scrappy pillow for my bed (had a great time picking fabrics). 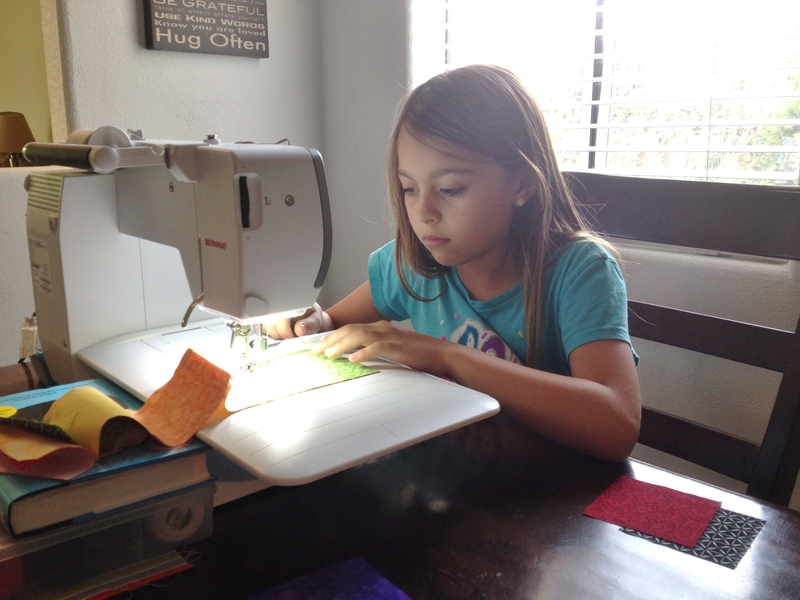 Gave my daughter a sewing/quilting lesson. This one was so much fun! Finished a cross stitch project (tried something new). 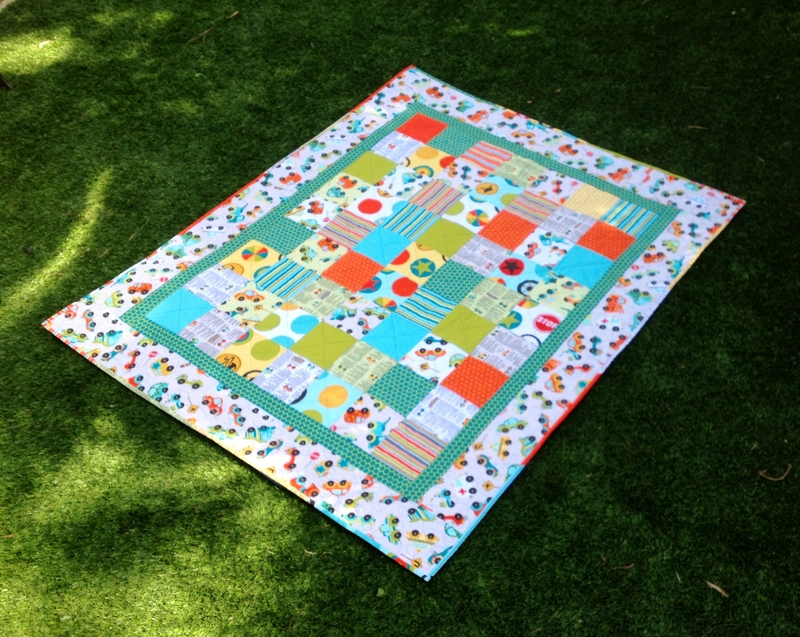 Made a quilt for my son with some fabric I’d been hoarding. Wow! Until I looked back, I didn’t realize I finished so much this month. I’m feeling pretty good now. 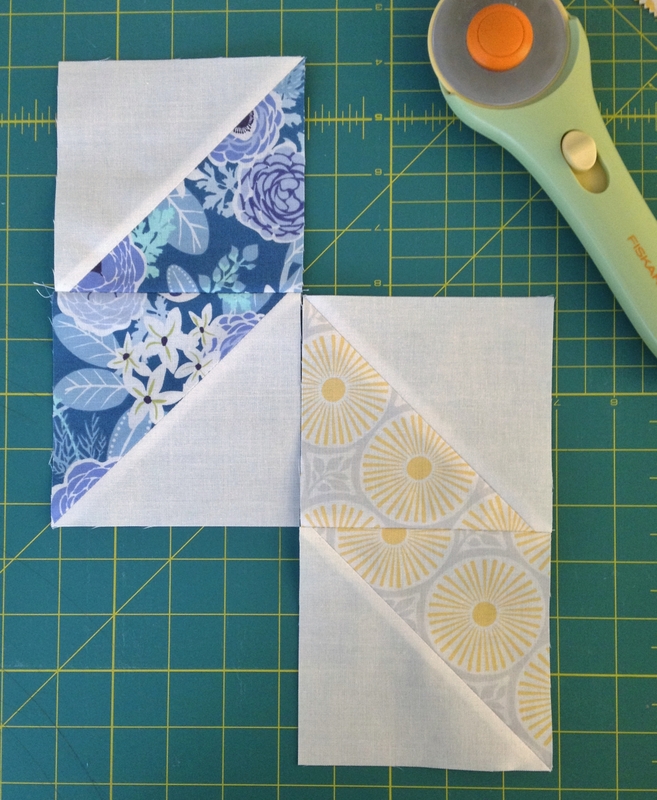 For the month of April I’m working on my very first tutorial for a lap quilt. I’m in the very beginning stages, but here are a couple pictures so far. Come back and check it out. I’m hoping to have it up by April 15th. Not sure what to call it yet. Any thoughts? 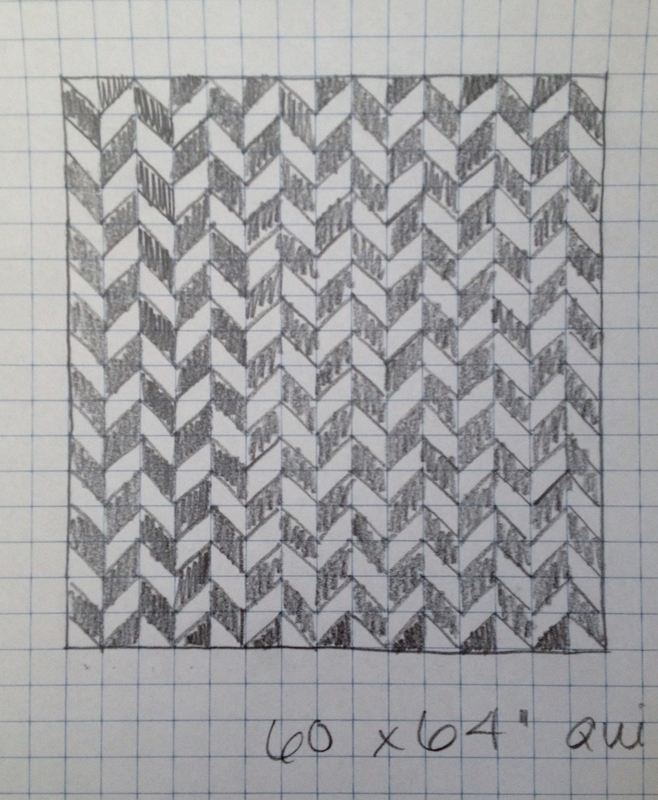 Don’t laugh here’s my pattern sketch (ok you can laugh) and my first 2 blocks finished. I love your quilt you are going to do the tutorial on. It looks simple and quick. It would be a good stash buster. You should add your blog to Bloglovin’ – It’s kinda the new Google Reader – most blogs have it and it’s really a nice place to see everyone’s posts! It’s easy to get it set up and put the button on the top of your sidebar! Happy Bloggin! Yay I figured it out. Thanks again! You really did finish a lot of things this month! Bravo! Plus I love the sewing quilting lesson. I think it’s important for children to be included in such a great hobby/past time/art form.